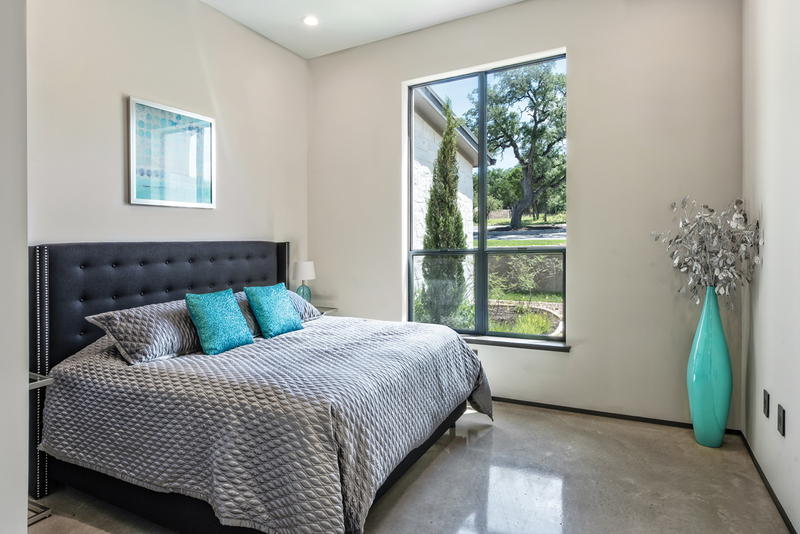 In San Antonio, where Spanish style homes are commonly spotted in the neighborhoods, a more contemporary style has slowly risen in popularity in recent years. 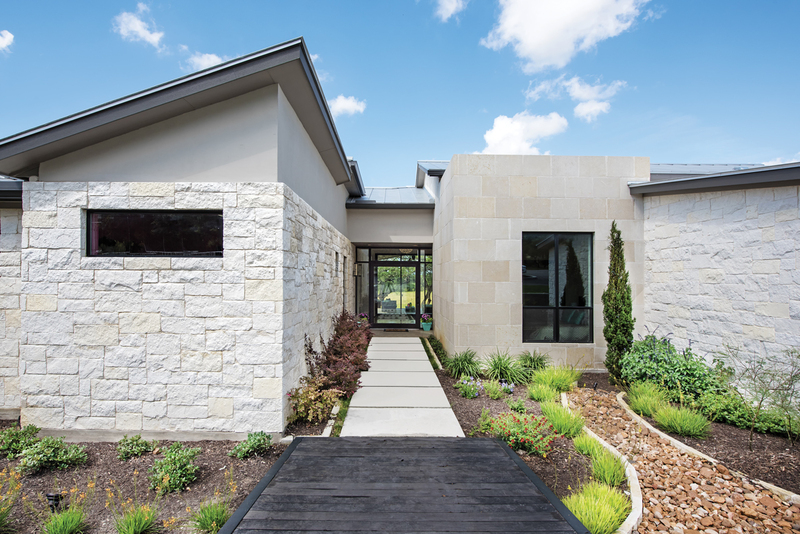 Custom home builder Beau Walker noticed his customers began asking him to design for more openness, clean lines and indoor-outdoor living. 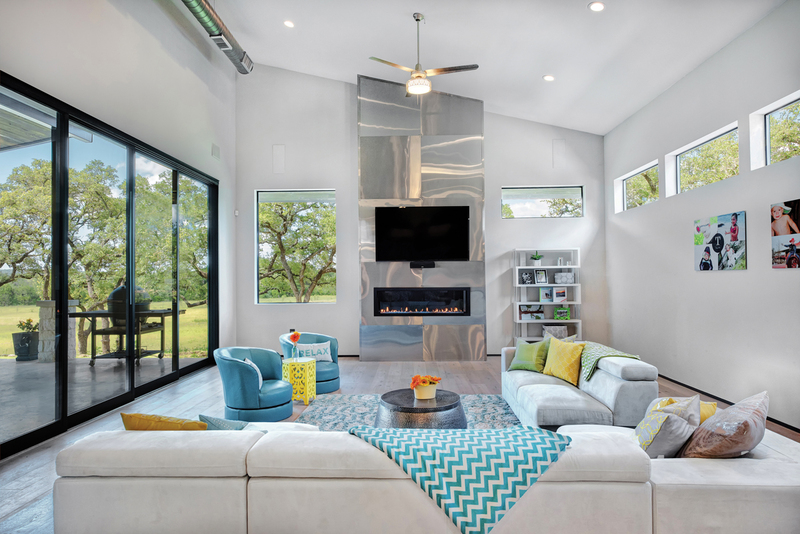 Because the contemporary style was still relatively new to San Antonio, Beau’s customers did not have many models to look at for inspiration. Many homeowners went online to look for ideas. 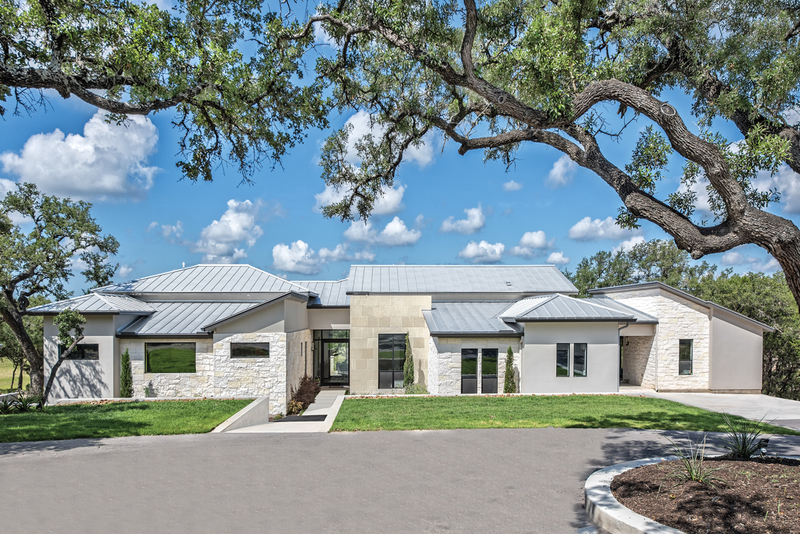 Seeing the increased demand for a new look, Beau blended contemporary design with rustic touches to create a Hill Country Contemporary home for his family and serve as a model house for his customers. 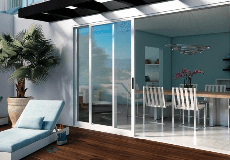 Beau selected Milgard® aluminum windows and sliding patio doors equipped with thermal break for added energy efficient performance. He liked the dark bronze anodized frames against the limestone exterior. Making this dream home was a lot of hard work, but an enjoyable process. As a custom home builder, Beau sees each home as a unique project. “I don’t build standard layouts,” he explains. “We listen to each customer’s vision and work with them to create the home that’s personal to them."